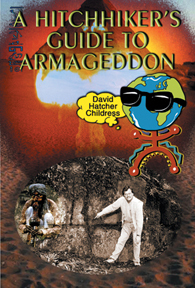 In this EBook, Childress hits the road from Megiddo, the legendary fortress in northern Israel where Armageddon is prophesied to start. Hitchhiking around the world, Childress takes us from one adventure to another, to ancient cities in the deserts and the legends of worlds before our own. Childress muses on the rising and falling of civilizations and the forces that have shaped mankind over the millennia, including wars, invasions and cataclysms. He discusses the ancient wars of the past, including evidence for ancient atomic wars, and relates the dim past with the present and dim future.